Stop by our recruiting booth at the Gaspee Arts & Crafts Festival this Memorial Day weekend. Although the “protection of Pawtuxet Village” is no longer a top priority, the Rangers are a very active Militia and Fife & Drum Company taking part in many historical activities including battle re-enactments, parades, musters and 18th Century encampments. In addition, the Rangers take part in many civic functions and have an educational program available to the area schools. Enlistees over the age of 18 are being sought for the Militia Company for Musketmen, Artillerymen and for the Color Guard. The Fife & Drum Corps is seeking enlistees, over the age of 16, interested in the Fife, Snare Drum and the Bass Drum. Experience preferred but not necessary. Training will be provided. Q. Do I need to know somebody or have an ancestor that was in the Rangers? A. No. Our membership is comprised of people who enjoy history, music, camping, etc. You do not need to know anyone or have had an ancestor in the Rangers. You do need to be of good character. All applications are screened with a background check. A. Annual dues are $25/year. For prospective members, first year’s dues are submitted with your application. Students are free through college. Q. How old does someone have to be to join the militia or fife & drum? A. A militia person needs to be 18 years old. A fife and drum applicant should generally be 16 or over. However, if someone has exceptional ability, consideration is given. Any member under the age of 18 must have a parental consent form signed. It is strongly encouraged that a parent/guardian join with any member under 18. A. The Rangers meet every Wednesday throughout the year at the Armory on Remington Street at 8:00. The militia and fife & drum practice outdoors in Pawtuxet Park during the good weather. The fife & drum practices at Wyman school during the Winter from 6:30-8:00. Q. How many events do you do? Where are they? A. The Rangers participate in 10-12 parades during the year. The Fife & drum goes to 6 musters. We participate in many other events such as encampments, battles and ceremonial functions. Most events are local. Occasionally we attend special events such as the National Fife & Drum Muster or a Battle Re-enactment held out of state. Q. How do I get a uniform? What does it cost? A. Upon being voted in as a member, we will attempt to supply you with the necessary components for you to get started. It is suggested that you eventually purchase your own uniform parts. There are many sources to get your uniform from. Approx costs: Pants $65, Shirt $35, Waistcoat $80, Hat $40, Socks, Gaiters, neck stock, etc $50. The Regimental coat costs approx $600. The Company can help finance the purchase of these items as needed. Q. How do the Rangers decide what events to do? A. The Rangers have a business meeting every Wednesday. Potential events are read to the members. The following week, the membership votes to do the event or not. Some events are voted as voluntary. A. A prospective member fills out an application and submits the first years dues ($25) with the application. The application is read at the business meeting. The application goes through a background check. Upon successful screening the, application is voted on at the next meeting. A. Some fife & drum instruction is provided if the applicant has basic musical knowledge. Militia drilling in marching and weaponry (musket, cannon) is provided. 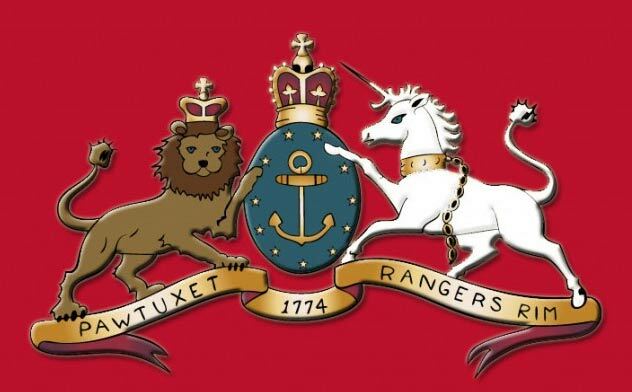 All interested persons are encouraged to contact the Recruiting Officer at the Armory Hall, 59 Remington Street, Warwick, or by phone at 401-785-1774 or by email at pawtuxetrangers@aol.com.